The textbook reveals the most important facts about professional development of singing voice, and singer’s perfomance skills in the modern music education. 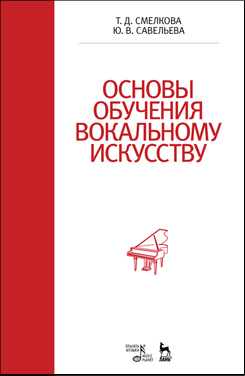 Special emphasis of the book is cultivation of the main professional principles, that will help studying the technology of singing process and developing proper vocal technique, necessary for future vocal and pedagogical work. The material, organized by topics, sequentially reveals different aspects of singing process. It’s the most effective way to learning the fundamentals of vocal art. The textbook is intended for students of musical departments of pedagogical universities, conservatoirs and cultural universities, and also for teachers of vocal departments. Л. А. Шевченко — народная артистка СССР, солистка Мариинского театра, лауреат государственной премии СССР, кавалер Ордена Почета, профессор кафедры сольного пения РГПУ им. А. И. Герцена; В. А. Гуревич — доктор искусствоведения, профессор Института музыки, театра и хореографии РГПУ им. А. И. Герцена, почетный работник высшего профессионального образования РФ.